Traditional Chinese Medicine (TCM) has been around for thousands of years. Although the first recorded history of TCM dates back over 2,000 years, it is believed that the origins of TCM go back more than 5,000 years (Micozzi, 2011). Chinese medicine was arrived at observing the patterns in the natural world. It suggests that since the human body is microcosmic manifestation of the macrocosm around us, we are influenced by the weather, the food we consumes, everything we see, the sounds we hear, the emotions we feel, and all the things that touch us including other humans. And it is only when are in balance in spite of these external influence that we are truly healthy (Beinfield, 1991). Sharpened stones and bones that date from about 6000 BCE have been interpreted as instruments for acupuncture treatment, but it is highly possible that these instruments were merely used for drawing blood or lancing abscesses (Ernst, 2004). Documents discovered in the Ma-Wang-Dui tomb in China, which were sealed in 198 BCE, contain no reference to acupuncture as such, but do refer to a system of meridians, albeit very different from the model that was accepted later (Ernst, 2004, pg 1). Speculation surrounds the tattoo marks seen on the ‘Ice Man’ who died in about 3300 BCE, later revealed when an Alpine glacier melted indicate that a form of stimulatory treatment similar to acupuncture developed quite independently of China (Ernst, 2004). The first document dated about 100 BCE unequivocally described an organized system of diagnosis and treatment, which is recognized as acupuncture in The Yellow Emperor’s Classic of Internal Medicine. The meridian channels that facilitate the flow of qi were well established by this time, though the precise anatomical locations of acupuncture points developed later. Acupuncture continued to be developed and codified in texts over the subsequent centuries and gradually became one of the standard therapies used in China, alongside herbs, massage, diet and moxibustion (Ernst, 2004). Bronze statues from the fifteenth century show the acupuncture points in use today, and were extremely beneficial used for teaching and examination purposes. (Micozzi, 2011). During the Ming Dynasty (1368–1644), The Great Compendium of Acupuncture and Moxibustion was published, which forms the basis of modern acupuncture in use today. The 365 points that represent openings to the channels through which needles could be inserted to modify the flow of Qi energy are clearly depicted and discussed here. 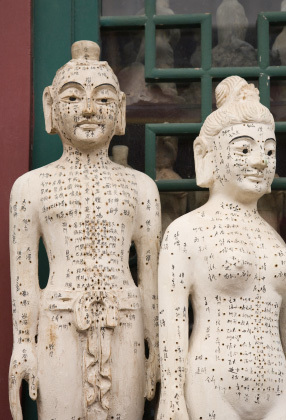 Interest in acupuncture among the Chinese however declined from the seventeenth century onwards as it came to be regarded as superstitious and even irrational. It was totally excluded from the Imperial Medical Institute by decree of the Emperor in 1822 but luckily enough; the knowledge and skill were retained, due to continued interest in the subject interest among academics and in everyday use by rural healers. By 1929, the popularity and acceptance of western medicine grew substantially, and acupuncture was outlawed. However, after the installation of the Communist government in 1949, traditional forms of medicine including acupuncture were reinstated, possibly for nationalistic motives but also as the only practical means of providing even basic levels of health to the massive growing population of China. The divergent strands of acupuncture theory and practice were brought together in a consensus known as traditional Chinese medicine (TCM) that also included herbal medicine. 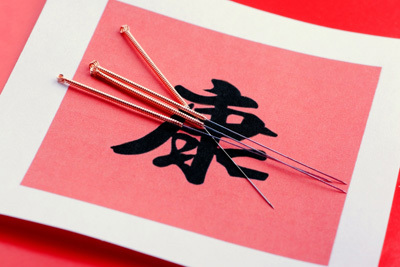 An initiative was undertaken to establish Acupuncture research institutes in the 1950s throughout China and treatment became available in separate acupuncture departments within Western-style hospitals (Ernst, 2004). 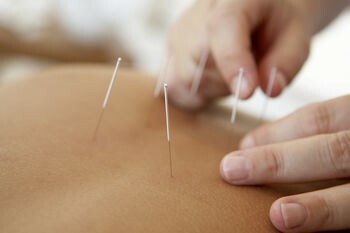 In the following blog, I will be elaborating on the physiology and the overall efficacy of acupuncture, so stay tuned.